Black Mesa, the fan-made recreation of Half-Life has a fresh brew available for Linux gamers that should make it a better experience. They've also pushed a couple of updates to the new beta since it went live, which they say adds in full support for Shader Model 3.0 in OpenGL mode, reduced memory consumption, libtcmalloc_minimal was added for supporting distros other than Ubuntu and other bug fixes. To access it, you need to opt into the "public-beta" branch on Steam. To do so, right click on the game and go to properties, from there select the beta tab and pick it from the drop-down menu. They're asking for feedback in this Steam forum post. 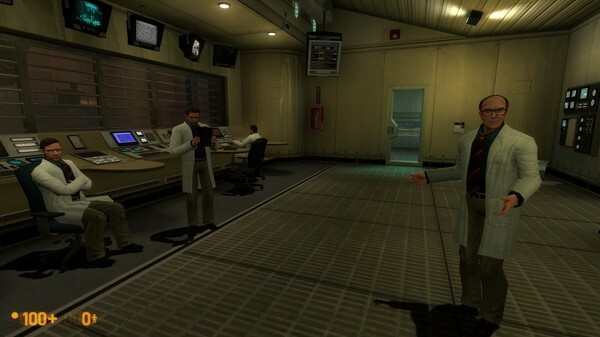 Find Black Mesa on Steam. I have never played Half-Life (yeah, I'm the one). Maybe I'll do when they have finished. Will this fix the sudden, terrible frame drops that make the game unplayable? ChiKin Will this fix the sudden, terrible frame drops that make the game unplayable? Dammit I uninstalled the game just last week because of a recurring crash... Guess I need to try again, hooray for broadband! The only other bug I can think of was a weird thing with shadows, but that probably has been fixed by now Oh, and vortigaunt's terrible aim. Nevertheless, I am glad to see them working to polish it on Linux! Very much appreciated! poke86 Dammit I uninstalled the game just last week because of a recurring crash... Guess I need to try again, hooray for broadband! Test chamber and chopper crash have already been solved in public-beta branch. You need to restart the map FYI. rea987 Test chamber and chopper crash have already been solved in public-beta branch. You need to restart the map FYI. Thanks for the tip, I was restarting from a quicksave maybe that was it. I've heard they'll announce new GPUs soon (I think there are even new IDs in Linux 4.21). I detected some drops, but nothing that affected a lot the game (never less than 30 fps). Anyway, I just played a little bit the start of the game, I'll try to play a little more during weekend and will let you know if there is something else to be worried about. poke86 Thanks for the tip, I was restarting from a quicksave maybe that was it. As far as I understand, public-beta branch pushes tweaked versions of those 2 problematic maps. Loading a quicksave most probably loads the old version of the map. I can confirm loading chopper section from a quicksave reproduces the crash while restarting the map with following command loads the new map which works just fine.